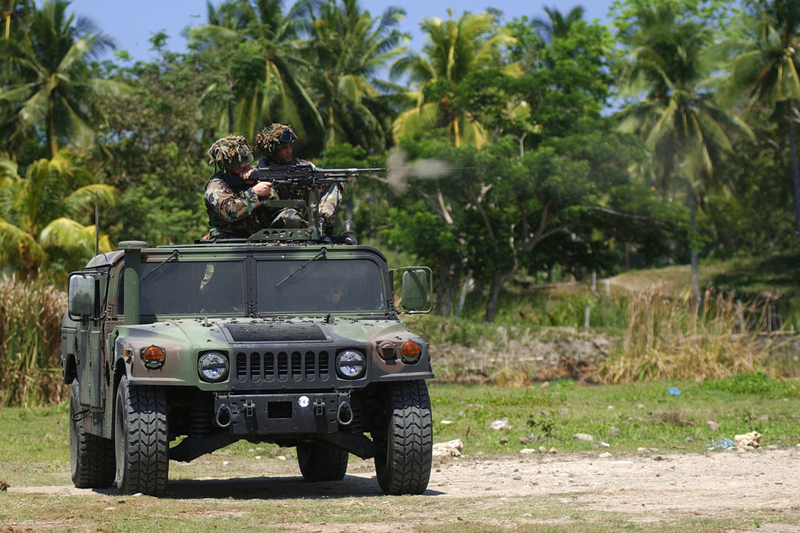 030414-N-6501M-026, Zamboanga City, Republic of the Philippines  U.S. Marines fire a 7.62mm M-240 Medium Caliber Machine Gun during a crew/serve live fire exercise. This training is to maintain proficiency in Force Protection while deployed to the South Philippine Islands. The Marines are attached to the 3rd Battalion, 3rd Marine Kilo Company which is part of Joint Special Operations Task Force  Philippines (JSOTF-P), supporting Operation Enduring Freedom and the U.S. effort to train, assist and advise Philippine forces in their fight to counter terrorism. Official U.S. Navy Photo by Photographers Mate 1st Class (PH1) Edward G. Martens. Cleared for public release by Major Randall R. Cephus, JSOTF-P Public Affairs Officer.